I Love the New Pocket Editions! 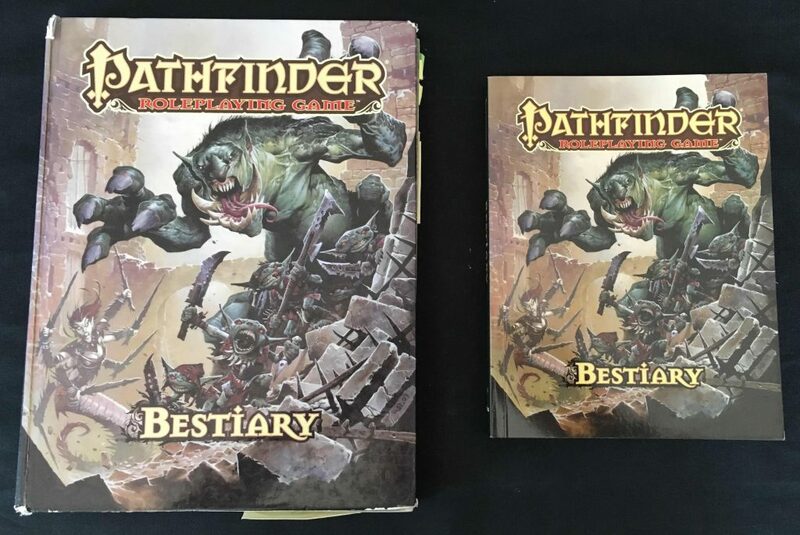 The release of Pathfinder’s range of Pocket Editions passed me by somewhat. 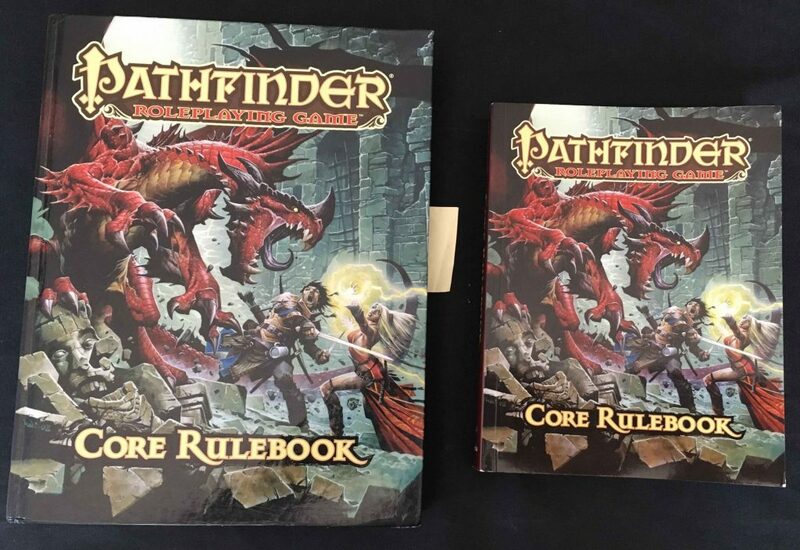 I was vaguely aware of the release, but given I’ve got multiple physical and digital copies of the core rulebook, I didn’t give it much thought. My mistake. The other day, I stumbled upon a YouTube video comparing the Pocket Edition Core Rulebook to its normal hardback brethren. Blimey–what a difference! I was immediately impressed with its portability and purchased a copy. My main reason for buying the book was to take it to a weekly game I attend on Mondays. While I use an app (RPG Books) on my iPad to access the rules at the game, I much prefer actually leafing through a physical copy during play. The Pocket Edition is brilliant because it easily fits in my bag. If I was to take the hardback edition, I’d have to leave behind my snacks. Clearly, that’s unacceptable. The other thing the Pocket Edition is good for is GMing! Yes, I know that sounds blindingly obvious–it’s always handy for the GM to follow (or at least know) the rules after all. I have more space behind my screen. The players can’t see what I’m referencing (we have a large group of eight and consequently several players have to sit perilously close to my be-screened empire making it jolly difficult to hide everything from them). I get fewer “cocked dice” as there is more actual flat space to roll on. This is particularly handy for high-level play that requires fistfuls of dice. This speeds up game play (slightly). So in conclusion, I’m hooked on the Pocket Edition format. I’ve even purchased a Pocket Edition Bestiary. Luxury. I was out on my run yesterday, when I suddenly thought, “Should Raging Swan create Pocket Editions of some of its books?” I’m not sure yet how technically feasible that is–I’ll need a PDF guru to advise me on resizing and I need to look into such thrilling subjects as trim sizes and suchlike–but the idea intrigues me! 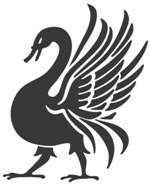 Do you buy physical Raging Swan books? Would you be interested in Pocket Editions? If so, should I focus on the various Miscellanies (Dungeon Dressing, Wilderness Dressing and Urban Dressing) or have a stab at converting an adventure or two? Please let me know what you think, in the comments below. If for no other reason than room behind the screen, yes! I would first prefer the Miscellenies, then, the town settings in pocket format, if possible. Thanks for the comment, Erich! I also was thinking Miscellanies first and then on from there!